In May 2014 the Tanzania Export Processing Zones Authority (EPZA) signed an agreement with four international companies in Mtwara, southern Tanzania to provide services to the oil exploration and gas extraction companies working on the prospective wells, onshore and offshore of the region. Among the four companies is Altus Oilfield Services FPZ Ltd. Its shareholders, MAC Group Limited and Pacific International Lines of Singapore, have presented a cheque of USD 526,280 to EPZA this week as a step toward realizing that objective. 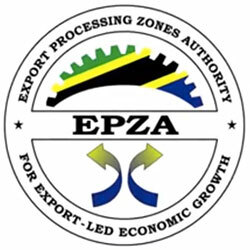 EPZA is developing a 10 hectares area, which is part of Mtwara Freeport Zone (MFPZ), a 110 hectares area that has been designated by the government for investment purposes. Specifically, the 10 hectors are being developed into what is called Oil Field Supply Base where various companies will be allocated land to set up infrastructure needed to service companies now engaging in oil and gas exploration in Mtwara region including British Gas and Statoil. The other companies that will operate at the Freeport are Schlumberger Seaco Inc. of USA, Dubai based Trans Ocean Industries and Services and Lenna of Iran. Speaking during the cheque handover event, MAC Group representative, Mr. Nagarayan Sankaranarayanan said the move was part of the group growth strategies and stepping efforts to contribute towards the fledging oil and gas sector in the country. “Our aspiration is that the EPZA and MFPZ’s Oilfield Service Operators shall jointly fast-track the development of MFPZ with adequate infrastructure and resources to balance the capacities across the entire tri-stream oil and gas value chain,” he said. He added that the development of oil and gas supply base is imperative to maximize the economic benefits derived from the existing and future developments on the South Eastern Bay. The EPZA Director General, Dr. Adelhelm Meru hailed the move, saying that the coming of the companies has huge benefits for the country in terms of creating employment and increasing government’s revenue.